Sure, makes sense. But I suspect boys of a certain age from across the country feel the same way. What we’re really looking for is the reason Cleveland is so enamored with the movie. Could that be it? Does our city collectively yearn for the kind of admiration folks give this holiday favorite? Possibly. Probably. But there’s more to it than that, right? Because we feel this film is a part of us. Ivan Schwarz, director of the Greater Cleveland Film Commission, agrees. 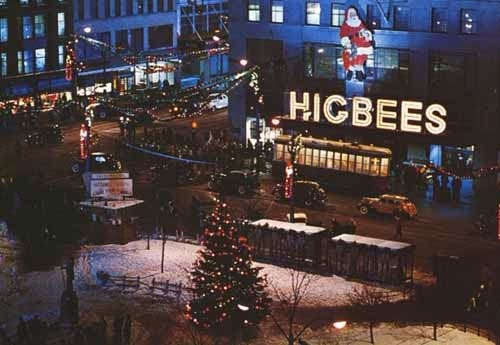 Higbee’s, founded in 1860, was the downtown department store where A Christmas Story’s famous Santa Claus scenes were shot. Legend tells that the film, made in 1983, asked the department store to keep its iconic Christmas decorations up through February for filming. Fans of that scene have the opportunity to visit Santa and slip down a replica slide at Castle Noel in Medina, Ohio, about 30 minutes outside the city. So maybe it’s because you can visit all the locations featured in the film. You know, feel like you are part of the movie. Besides the slide in Medina, Public Square and Higbee’s (now Horseshoe Casino), you can even visit Ralphie’s house if you’re in town. 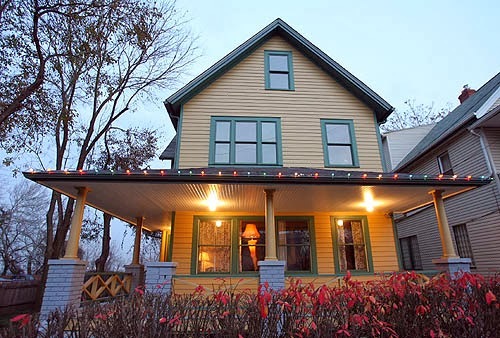 In 2005, Jones bought the Tremont, Ohio, home that was used as the exterior set of the Parker house in the film - on eBay, no less. Then he renovated it, turned the inside into a replica of the movie’s interior sets, and invites fans to tour the landmark. And fans come - from all over the world. A Christmas Story is a flickering home movie, then, for those of us in Northeast Ohio. An opportunity to experience our fair city during a simpler time. Or, as a dear high school friend, Spencer Medvick, says, “the trip to downtown, a big part of my past, and a huge part of my parents’ past, is reflected in the movie and brings the past forward.” Makes sense. But is that all? “I think it’s got to do with how recognizably middle-of-the-map Ralphie’s story is,” says Jeff Talbott. 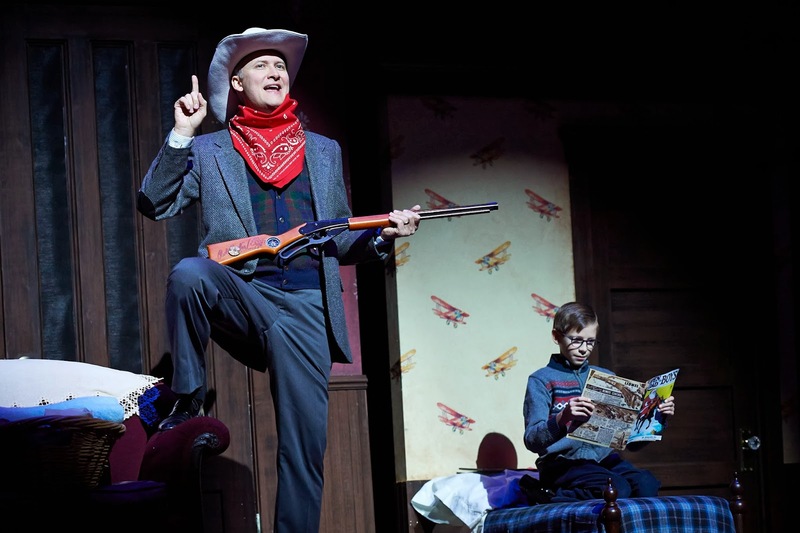 Talbott plays the older Ralphie Parker in Playhouse Square’s stage rendition of A Christmas Story. The play, based on the film, ran seasonally for five years until its hiatus in 2009. It’s back in 2013 for the film’s 30th anniversary - and getting rave reviews. Catch it before it ends Dec. 22. Maybe, then, it’s a combination of the film’s iconic scenes, scooped from the very memories of Clevelanders like you and me, and the film’s steadfast Midwest story. “The real reason people from the Cleveland area have embraced the film is the same reason people everywhere have embraced it. 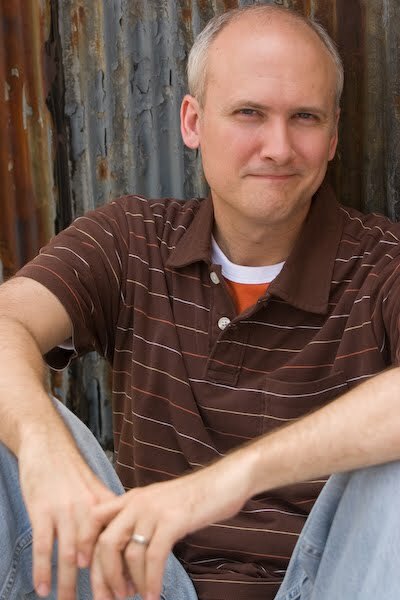 The film’s appeal is universal,” says Mark Dawidziak, award-winning author, biographer, teacher, lecturer and television columnist at the Cleveland Plain Dealer. “Starting with the autobiographical writing of Jean Shepherd, the movie brilliantly constructs the world of a child waiting for Christmas and hoping for that one most-desired gift. Wow, right? Dawidziak knocks it out of the park. It’s how the film tempers the power of a child’s hopes and dreams with the reality of growing up and how we all - every one of us – relate to that. Maybe for Clevelanders, I would add, that’s how our life seems to go all year round. From our childlike hopes and dreams for a championship sports dream to the reality of “there’s always next year,” we never really give up, never stop moving forward, despite the setbacks. Rust belt? No problem. Now we’re a hub of medical miracles and digital technology. Declining downtown? How about a gastronomic adventure so amazing its driving (yet another) downtown renaissance. “This film came out right before the cable and home video boom of the mid- and late-1980s,” adds Dawidziak. “The culture wasn’t as, well, noisy as it is now. And this was the last Christmas movie that, like It’s A Wonderful Life and Miracle on 34th Street, had a shot at reaching a mass audience, cutting across all borders. 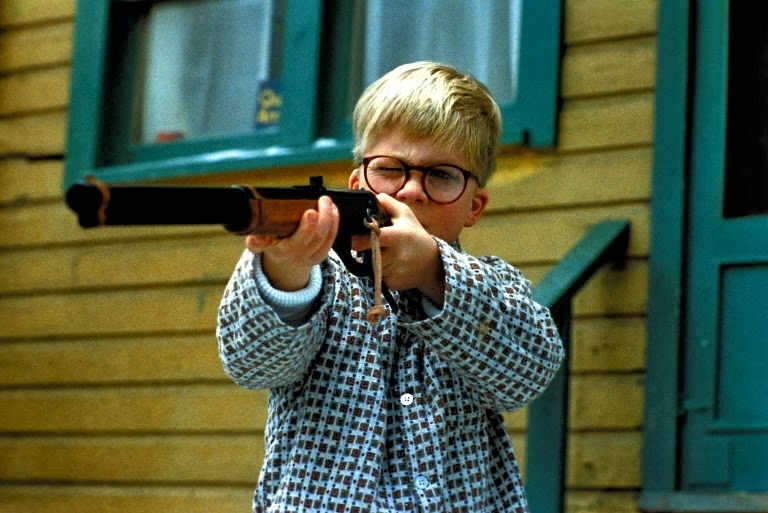 In other words, we’re Ralphie, stopping ourselves in the midst of our slide, determined to crawl back up and get what we want – know, inevitably, that we’ll probably shoot our eye out. But that’s okay. We’ll get right back up and aim high again.